Have a trip coming up that you don't have time to plan? Answer a few questions and Journy will pair you 1-on-1 with your personal travel designer who will custom-build your dream trip based on your tastes. Save yourself from hours of research and leave it to us so you don't miss out on the best restaurants, sights, shops, activities, hidden gems, and more. Recommendations come from our global network of top chefs, sommeliers, and local experts. Take off, worry-free, with everything you need in our app. Journy helps you with the most important part of your trip — figuring out what to do when you get there. We understand that you’re looking for more than just Top 10 tourist sights; you’re a traveler-not-tourist who also wants to experience the coolest new restaurants, hip cafes, hidden cocktail bars and more. 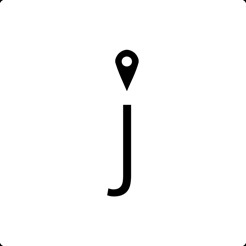 By combining the human touch of a travel expert with our technology, Journy delivers the perfect travel experience at a flat rate of $50 per day for full-service travel planning (FULL), or $25 per day if you don’t need reservations or bookings (LITE). Version update: Added premium service tier with in-destination support and launched new cities. Great idea, but not worth it at all for a European trip. We did two weeks in Spain and Portugal and honestly did so much better when we bagged their suggestions and did some exploring on our own. Positives: two of the places they recommended for us to stay were great and we enjoyed one of the activities they scheduled for us. Negatives: everything they recommended was so touristy. Nothing authentic and the restaurant recommendations were ridiculous. They would recommend those touristy places that were right on a giant plaza with terrible food that was way overpriced. Saving offline fails consistently at 97%. Tried it on 13 different WiFi networks, but to no avail. When attempting to navigate a day by map, I only occasionally can see one day but it almost always shows all locations (despite the right nav bar button also allowing to view all locations). The planning service itself has been great, but the app is absolutely pointless during actual travel. These folks really took the stress out of vacation planning—I highly recommend them. This app, however, could be a lot better. Highly recommend them on desktop and email.